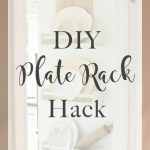 I’ve got another super easy and quick DIY project for you today! 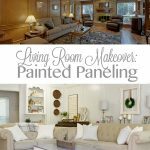 In my last post I shared with you some easy ways to add touches of fall to your living room. 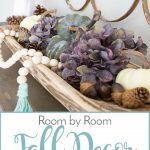 I also mentioned that I tend to lean toward blues and greens in my decor, and that doesn’t change when fall comes around. I don’t mind the typical fall colors of orange, yellow, browns and dark greens, but I don’t really prefer them. So sometimes, I have to take matters into my own hands when it comes to getting just the right fall decor for my home. Finding muted blue and green pumpkins is not always easy. I have found some at my local Michael’s store but there aren’t a lot of them and they were all really large. 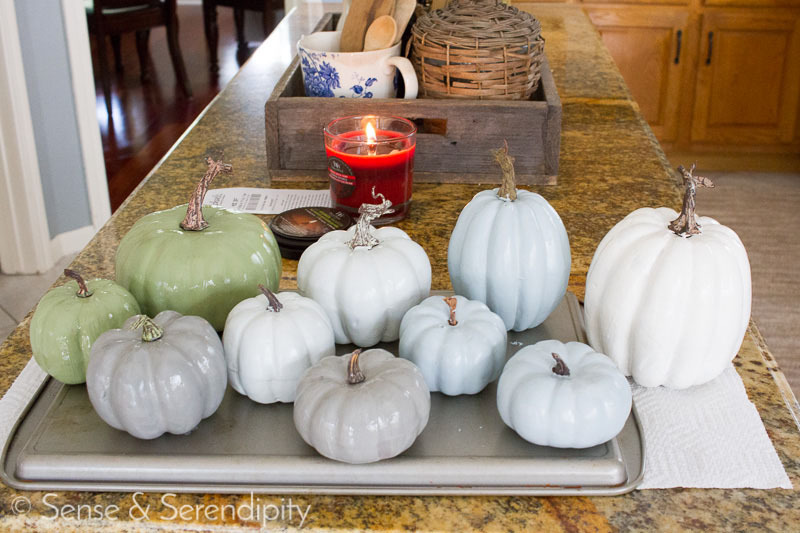 I wanted to add a few smaller blue, green and gray pumpkins to my decor but I was not finding anything in stores. So I decided to use what I had and improvise! 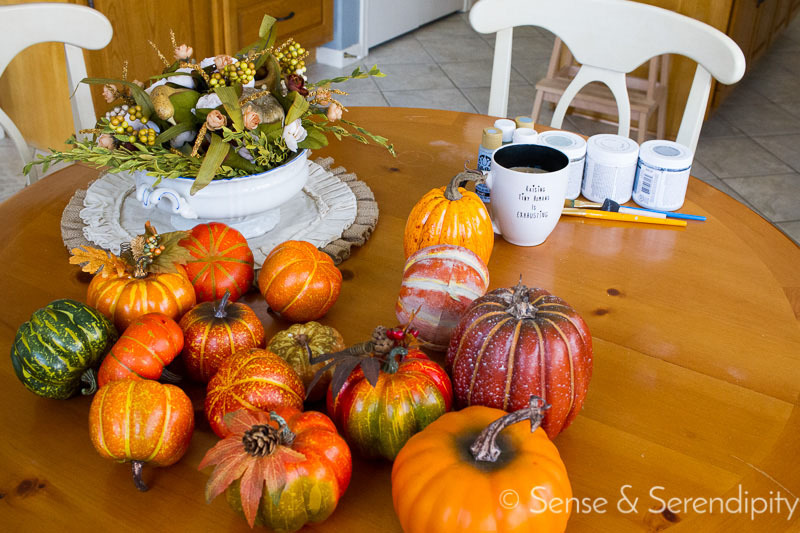 Here’s what you need to make some colored pumpkins in any color you desire! 1. First set up a work space and a space for your pumpkins to sit and dry. I literally dumped an armful of orange pumpkins on my kitchen table and found every jar of chalk/acrylic/sample paint I could find. And coffee. Coffee is required. I also set up and old, crusty, non-stick cookie sheet on my kitchen counter to place my pumpkins to dry so I could easily scrub off any paint transfer. 2. Decide which pumpkins are going to be which color and start painting! Be careful around the base of the stem so you don’t get paint on it. Other than that, just brush on the paint! There is really no technique to it. I pretty much watched re-runs of Fixer Upper and just got messy. Set your pumpkin aside to dry for about 20 minutes and then add a second coat. 3. Once you’ve added two coats of paint, you should have a perfectly painted pumpkin. If you want to add some shadow to the creases of the pumpkin, you can add a slightly darker color (or a dark wax) to the creases and blend it in. 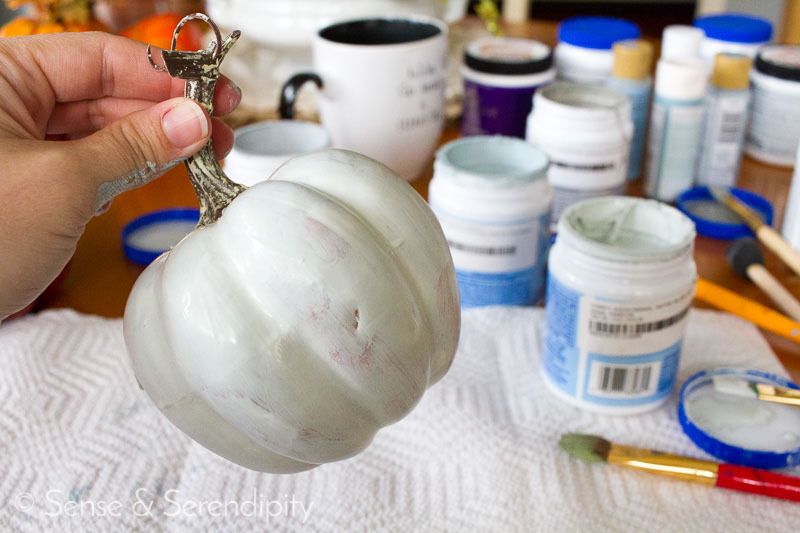 You can also add some highlighting to the plump part of the pumpkin by adding a bit of white paint and blending. This is an optional step that I chose to skip because (1) I was digging the look of my painted pumpkins already, and (2) I’m lazy (#keepingitreal). 4. Proudly display your new colored pumpkins! 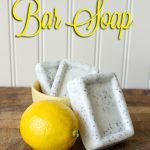 You can use these in all kinds of decor! 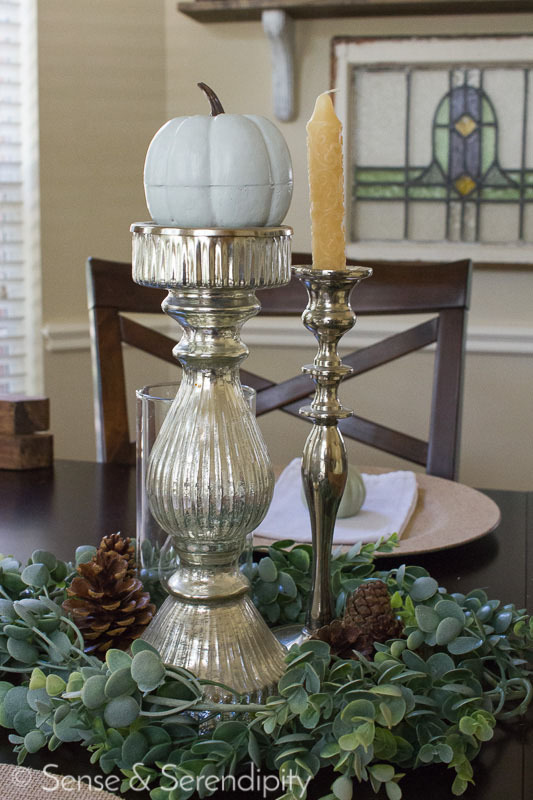 I put a few on candlesticks on my mantle and in my dining room. I added a few in my kitchen and around the living room. 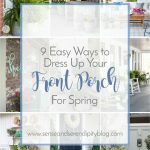 You could also use these to make a custom wreath! If you decide to use these on a wreath, I would definitely spray them with a matte polyurethane coat to make sure the paint doesn’t scratch or melt off (it is still a billion degrees outside here after all). 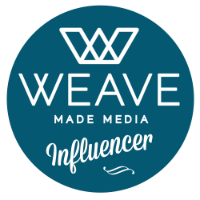 It’s not a hard project but it definitely makes an impact! 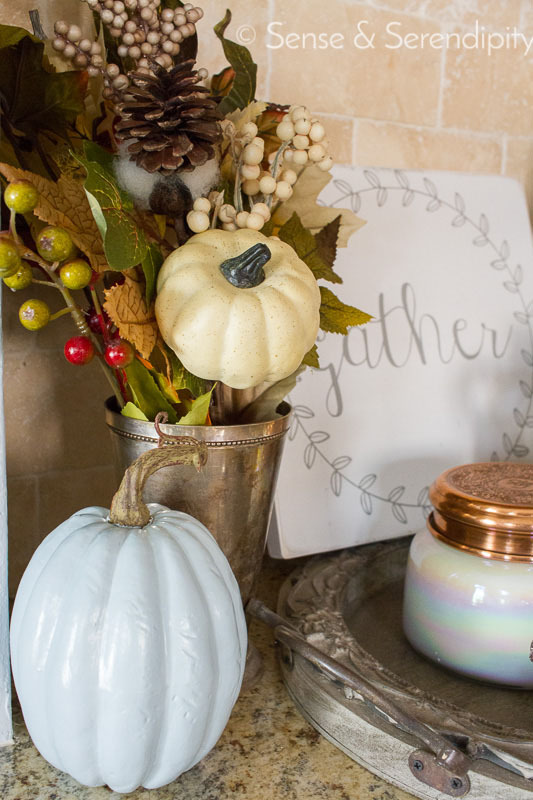 I love that the colors are exactly what I wanted in my space for my fall decor this year and I love that I didn’t have to spend a lot of money to get what I wanted! Cheap and easy is my favorite kind of project. 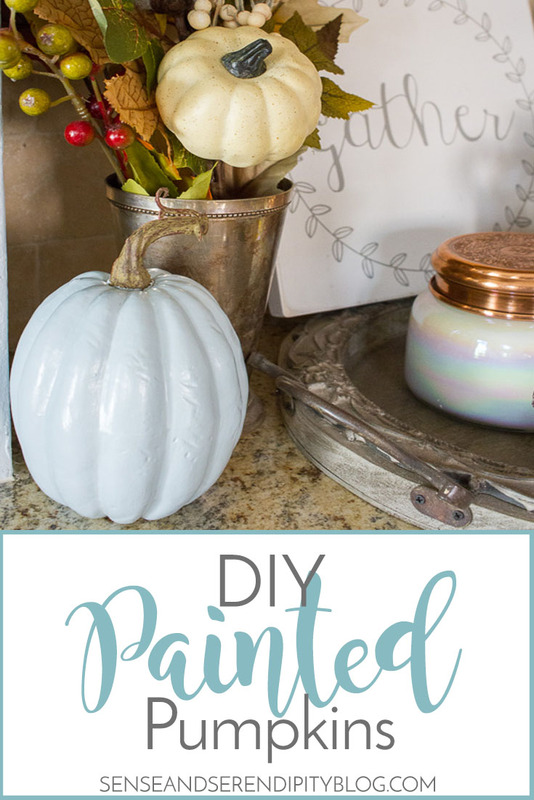 Have you painted pumpkins to customize your decor? 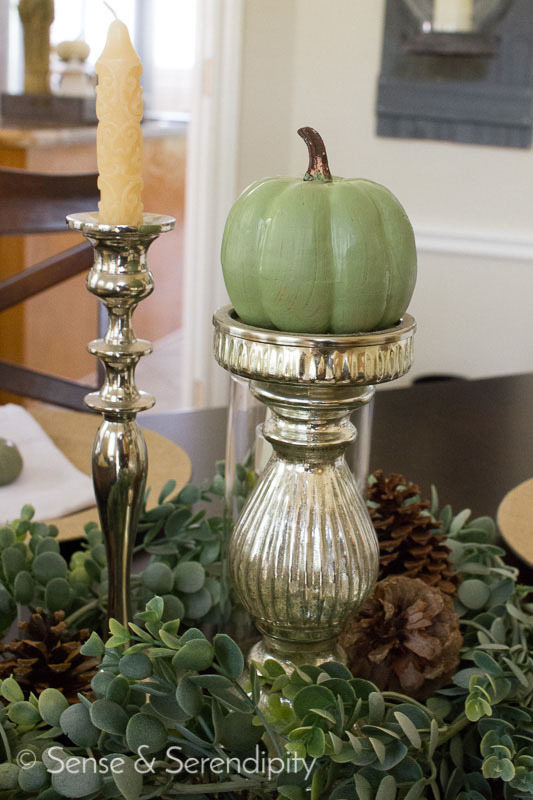 What are your favorite colors to use in fall decor? These turned out beautiful! I love painting projects especially for the fall! I’m totally doing this!!! I love it. It’s so pretty! Love these! 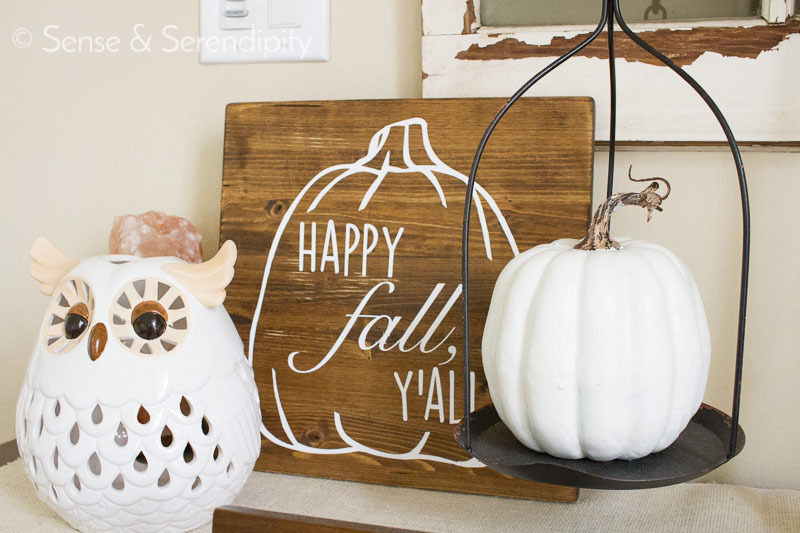 Love how white pumpkins look for fall decor! 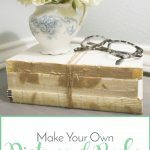 This craft looks like fun and so easy to make. I cant wait to try it! These pumpkins are so beautiful! My casper pumpkins didn’t work out this year, so I’m going to use your trick to fake some. These are so cute – love the neutral blue hues of these. Totally need to go this route! Super cute!!! Where did you get the “Happy Fall Y’all Sign”. I need this!! Thanks, Kristine! I made that sign last year. These are just precious! Such a fun way to decorate!